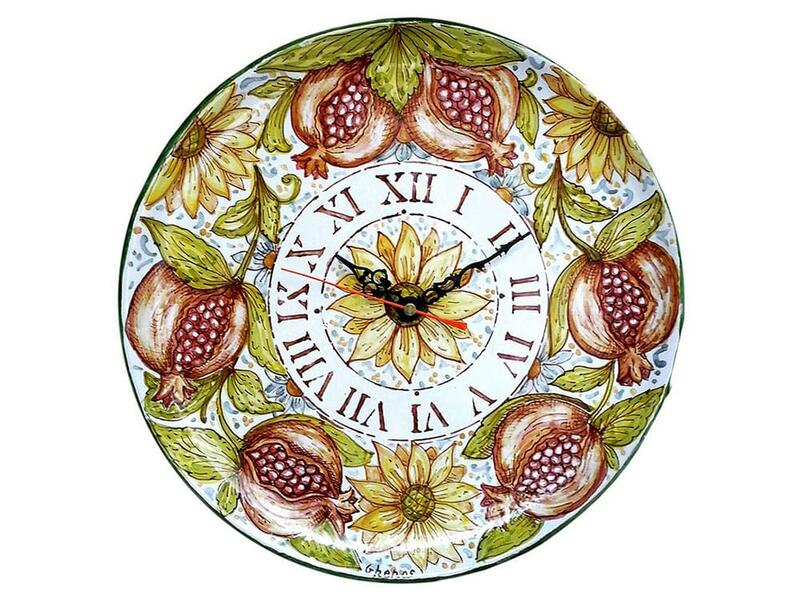 Ceramics is not something usually associated with clocks, but in Italy, particularly in Sicily they are very commonplace. 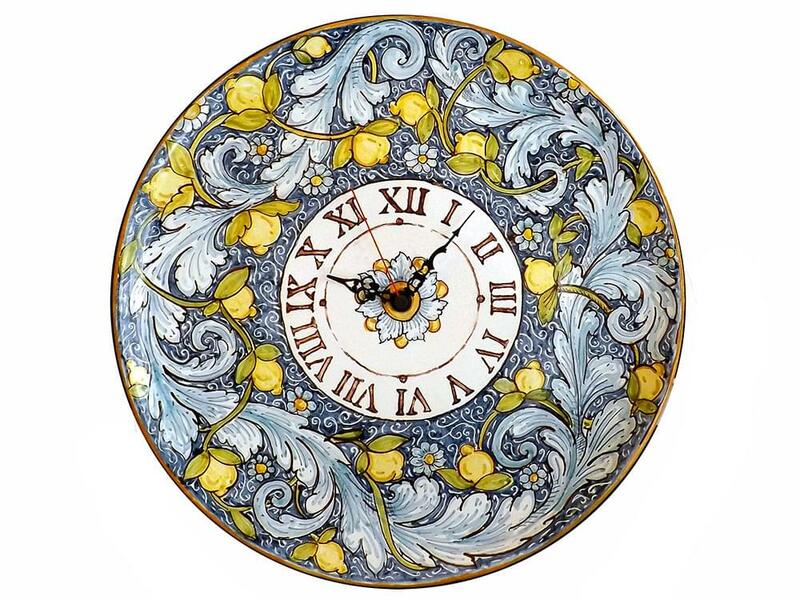 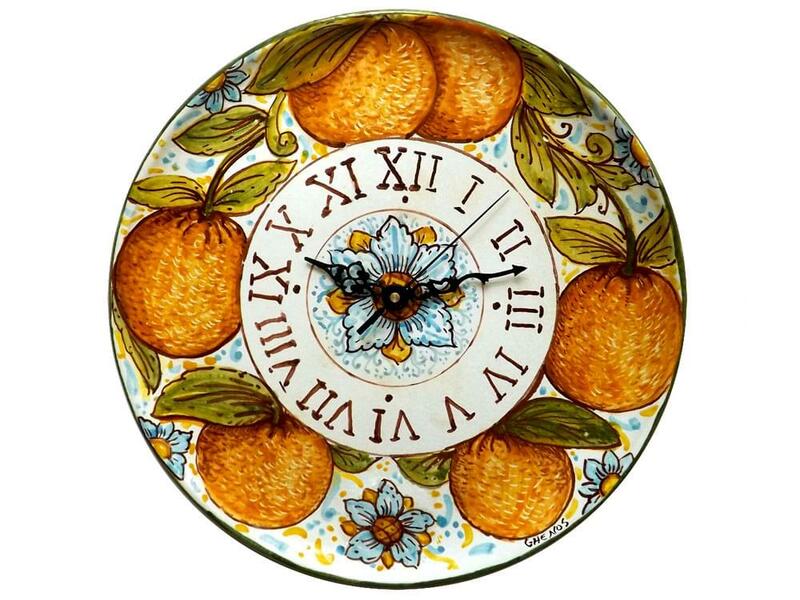 Sicilian ceramic clocks are often in the shape of a plate with the clock face and mechanics in the centre. 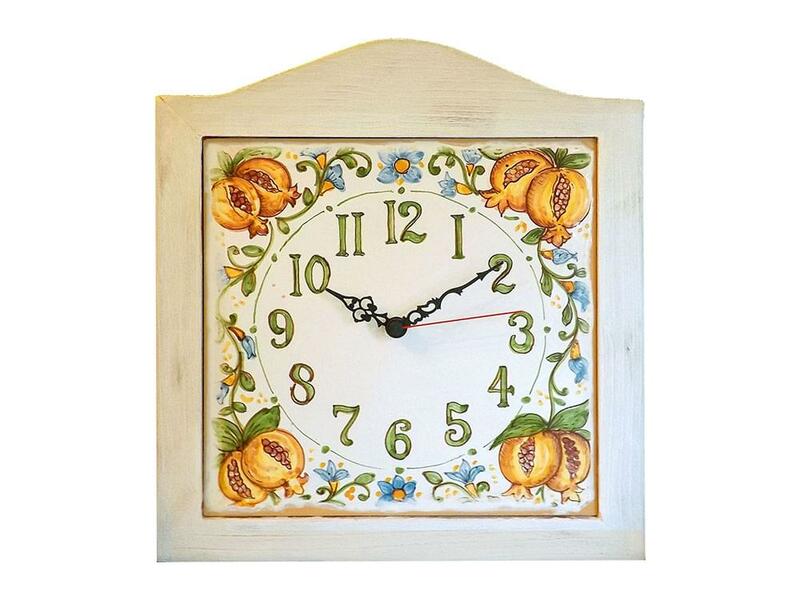 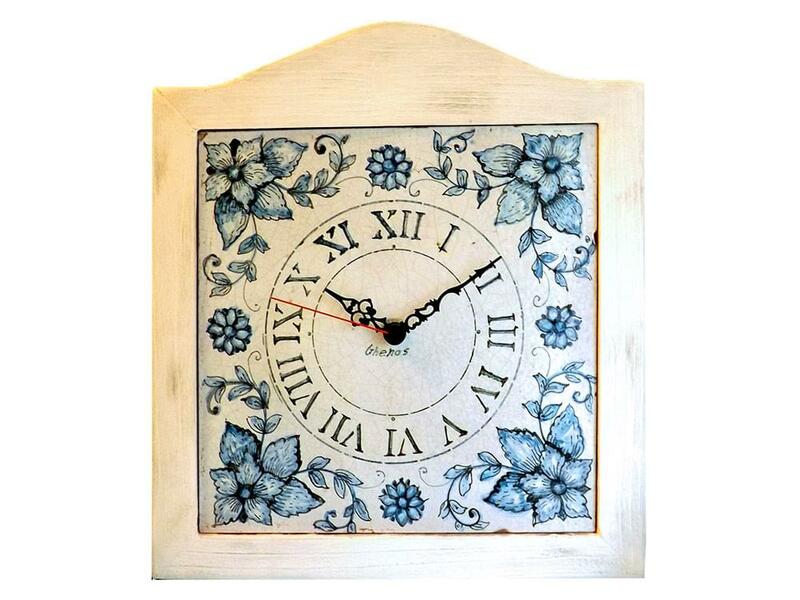 Another popular type of clock is a ceramic tile sitting inside a handmade wooden frame. 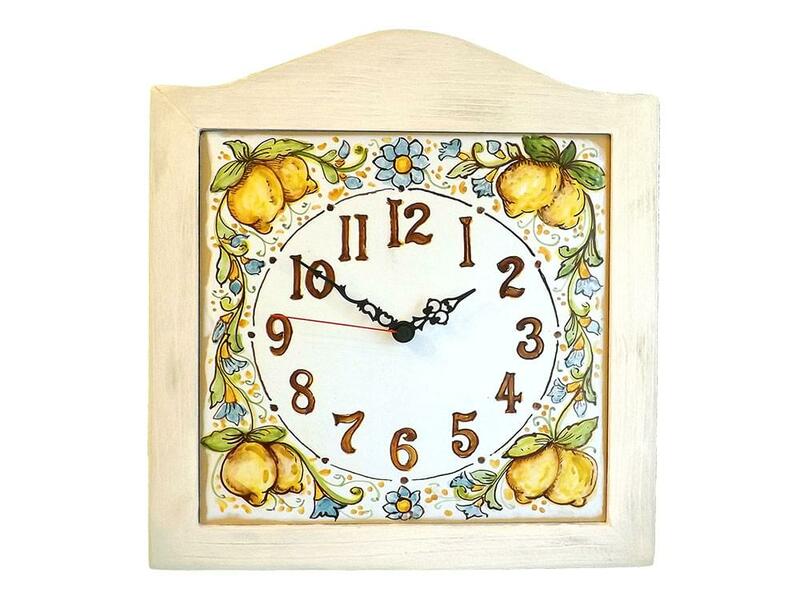 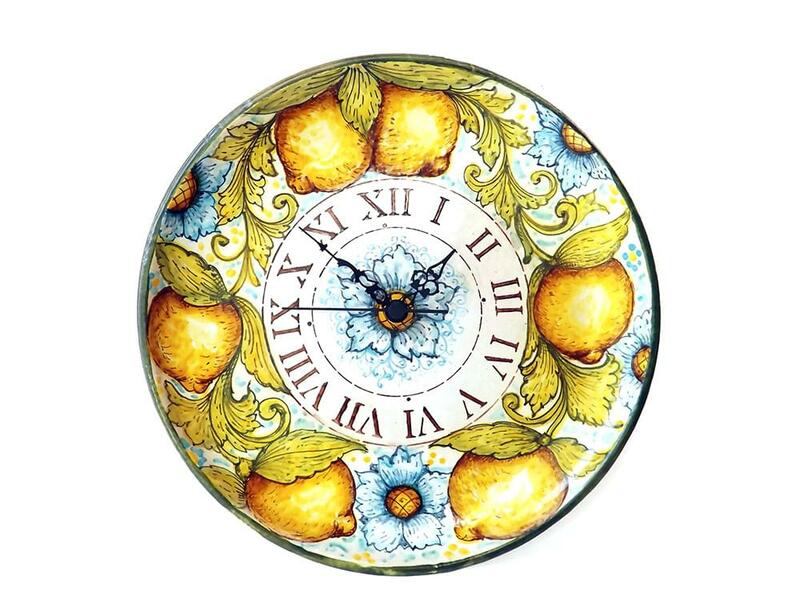 All the plates and tiles for these ceramic clocks are hand painted and often depict the fruits of the area, such as lemons, oranges, pomegranites and olives.